A short Yorkshire Dales walk from Grassington exploring the countryside to the east of the town. 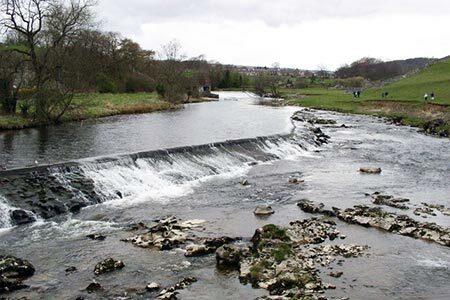 The route includes a short section along the Dales Way by the River Wharfe to visit Linton Falls. A GPX File is available for download (see walk description). A guidebook to 30 hand drawn family walks throughout the Yorkshire Dales. The 30 circular walks take in well-known spots such as Malham and Ingleborough. Routes take between a half to a full day. Also less-frequented, almost secret routes. Graded from easy to strenuous.